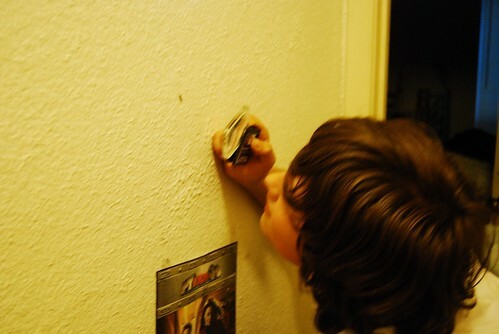 Last night G found a really interesting caterpillar climbing up the wall. 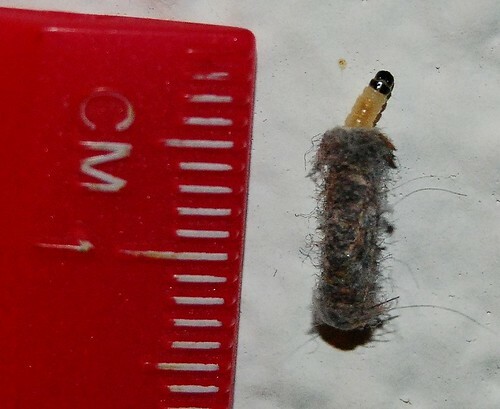 I took a picture and someone over on BugGuide.Net ID'ed it as a Casemaking Clothes Moth. It's really cool. Nice shot. Put it next to a sweater and see it disappear. Both the sweater and the caterpillar!